7 AMAZING Shoes We're Totally Lusting After! Although the popular saying goes “judge a man by his shoes” trust us when we say that we judge everybody by their shoes. After all your choice of footwear says so much about who you are and shoes are our absolute weakness. There is no such thing as owning too many of them! Quite often we have days when we can plan an entire outfit around the shoes we want to wear. 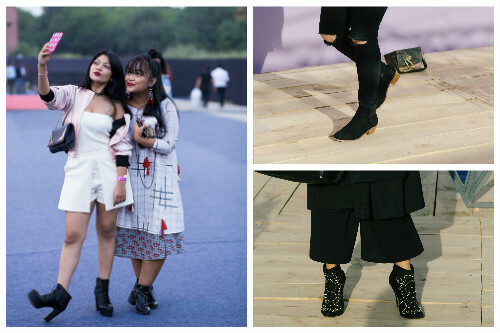 If you like us are a sucker for shoes then check out these totally drool worthy ones that were spotted at the much awaited Amazon India Fashion Week. 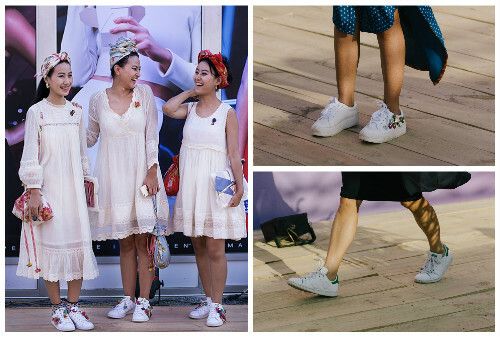 The widely popular white sneakers have been in fashion for a while now. And we are all secretly hoping it stays that way for a while. Apart from looking super stylish they are so comfortable. They are also easy to style and can be worn with literally anything!! You could choose to take your style quotient up by a notch by personalizing your shoes. Add a dash of colour with tiny pom-poms or cover them with cute badges - basically have fun jazzing them up. Comfort meets fashion with this style. While you get the advantage of added height, these sandals can be worn all day long without your feet killing you (unlike other heels). Try the ones in metallic hues to brighten up an otherwise boring outfit. 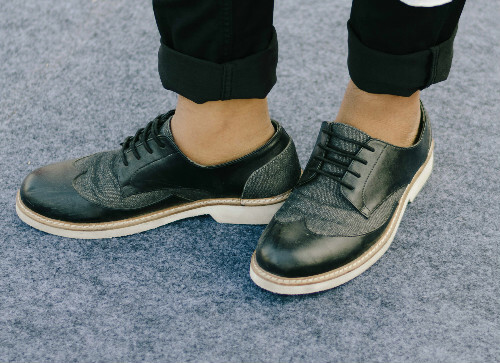 Brogues with folded pants are a classic combination. Actually brogues have the ability to make most outfits look really classy. Black and tan are the usual favourites but you could always experiment with other colours as well. So just slip into a pair and instantly up your styling game. There is something about kitten heels that make us feel super feminine. The slight heel ads a subtle lady like touch to your look. It’s especially great if you are tall and shy away from wearing heels because you hate towering over your friends! We are currently crushing over colorful pom-poms and are always looking for ways to incorporate them into our outfits. Add a splash of colour with super cute chappals with pom poms. These slippers can be worn with most casual outfits, style them with statement earrings and you are all set for the festive season. Girls, we all have that one pair of ballet flats that we absolutely adore and would love to wear all the time! Gold ballet flats are so easy to match and can be paired with dresses, shorts and jeans. The best part is that it can be worn with both Indian and western outfits.